Move over, popcorn! 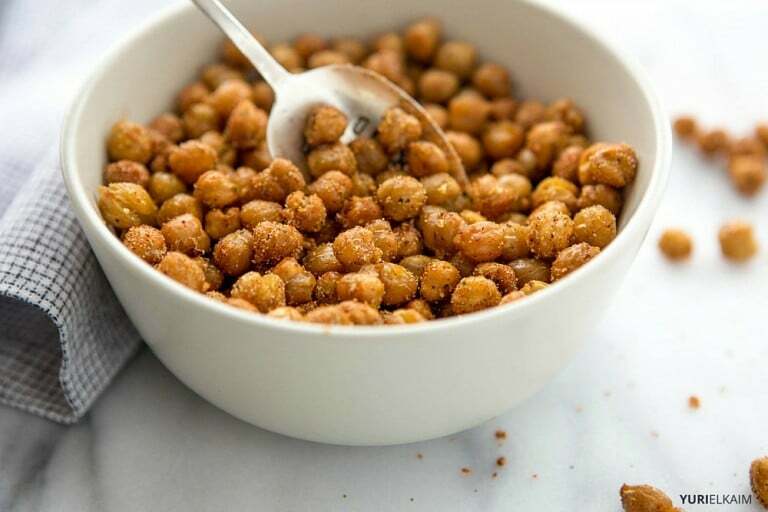 Oven-roasted chickpeas make a healthy, crunchy snack that’s a killer noshable … with a long list of health benefits. 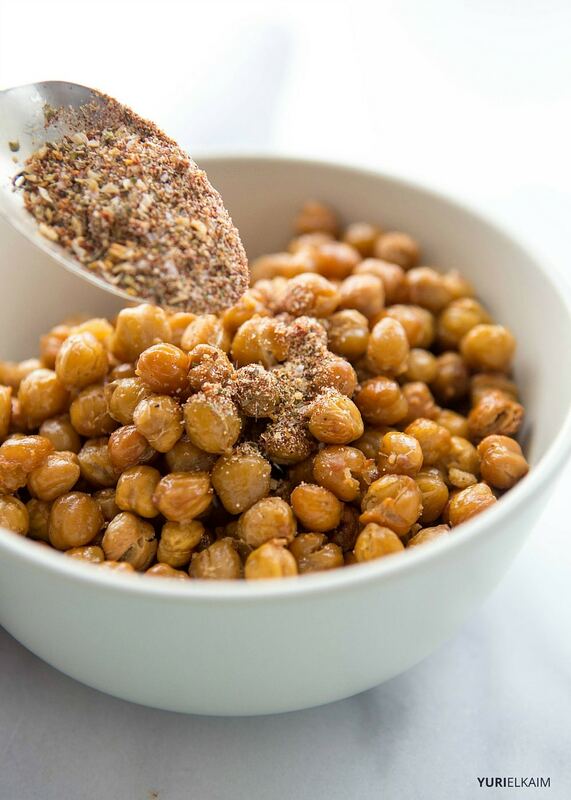 Great for tossing in salads, these chickpeas are also ideal for snacking straight out of the bowl. This recipe can be modified for almost any palate. Love spices? Throw in more cayenne. Tender tastebuds? Cut back on the cayenne or leave it out altogether. If you’ve eaten hummus before, you’ve had chickpeas, which are the main ingredient in that tasty Mediterranean dip. But you may have never eaten them any other way. Trust me: after trying these oven-roasted chickpeas, you’ll be hooked. Chickpeas are in the same family as beans, peanuts, and lentils, so they are high in plant-based protein. You need protein for building and repairing muscles, which make these a wonderful post-workout snack. They also will help you maintain a healthy weight by curbing hunger – a major bonus. Chickpeas are packed with fiber, and the combination of bulky fiber and protein keeps you satisfied after eating. High-fiber diets are also associated with lower blood glucose levels. The iron, calcium, phosphate, and vitamin K in chickpeas contribute to keeping your bones strong. 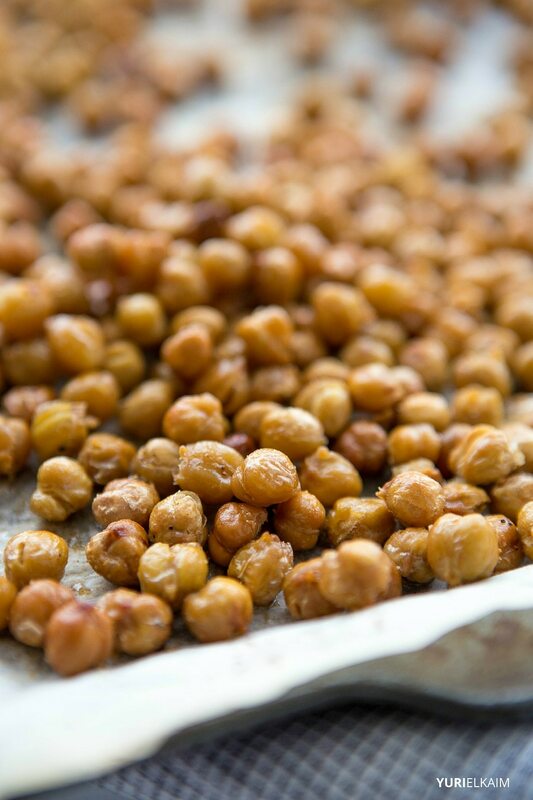 Reducing cardiovascular risk is just another great reason to snack on chickpeas. From lowering blood pressure to reducing LDL cholesterol, the potassium and other nutrients in chickpeas support heart health. A study in 2006 revealed that participants whose diets were supplemented with chickpeas for 5 weeks had significant reductions in total serum and LDL cholesterol (1). And if you’re concerned with inflammation, which is linked to chronic disease, the choline in chickpeas helps to reduce inflammation in the body. Aside from the numerous health benefits you’ll reap from eating chickpeas, they taste great too. 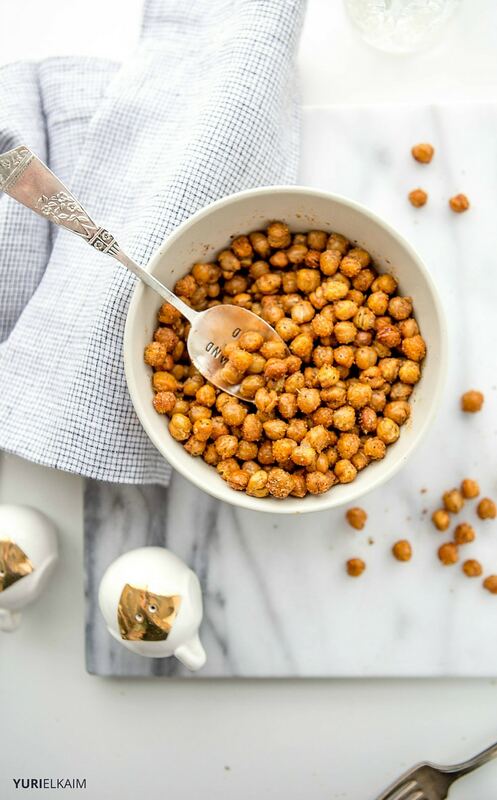 This simple oven-roasted chickpeas recipe allows you to control the spiciness and satisfy your cravings for a crunchy, salty snack. When buying canned chickpeas, look for a BPA-free can or a box. You also can use dried chickpeas: Simply soak overnight and cook with water (1 quart of water for every cup of beans) for 30-90 minutes until softened. Drain and let cool before using. 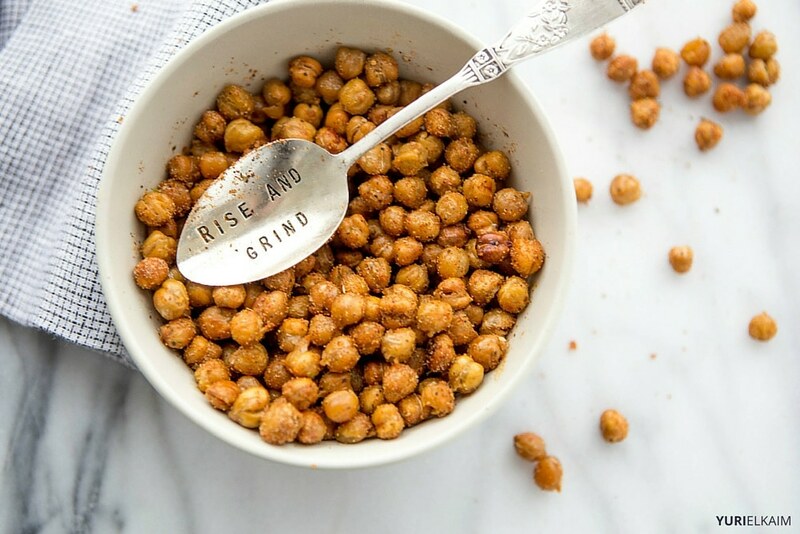 These crunchy chickpeas will easily replace less-healthy snacks in your repertoire. 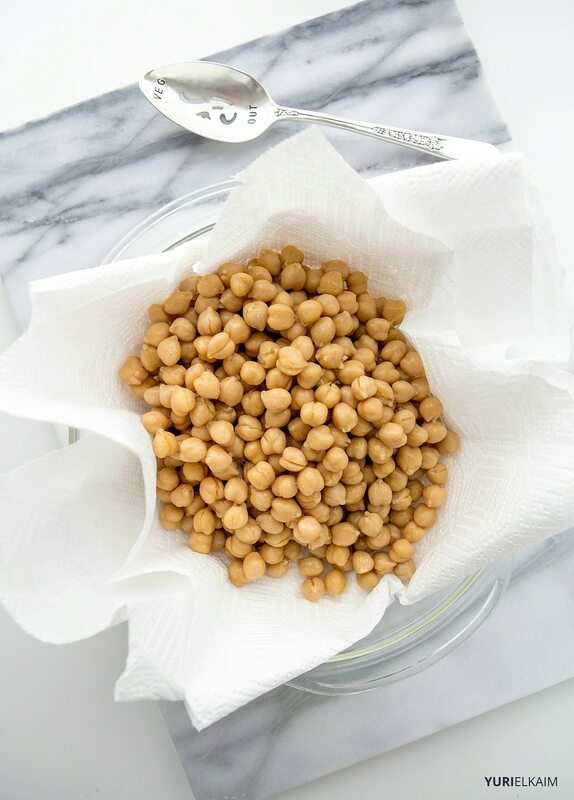 Place chickpeas in a paper­ towel-lined strainer. Allow to air dry for 10­-15 minutes. 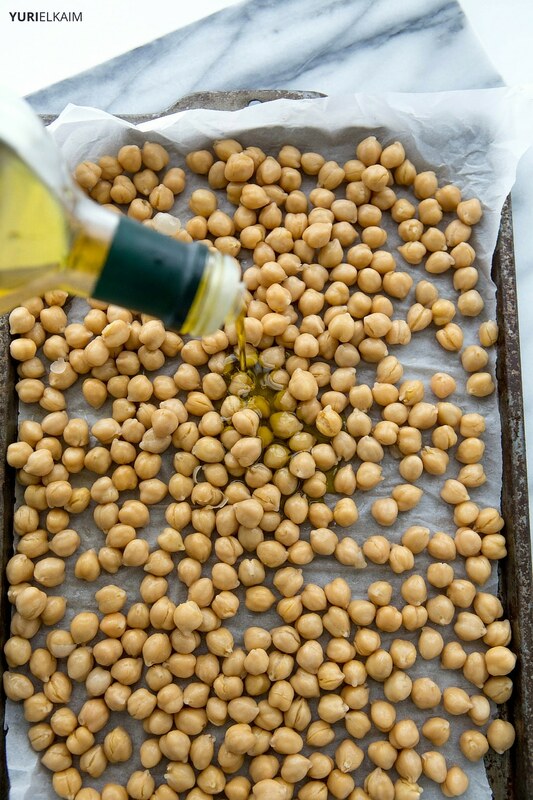 Place chickpeas on a parchment-­lined baking sheet. Drizzle with olive oil, stirring to coat. Sprinkle with ½ tsp sea salt. Stir together remaining sea salt, cayenne, chili powder, cumin, paprika, garlic powder, onion powder and cayenne. Toss hot chickpeas in spice mixture. Salt to taste, if desired. Serve and enjoy immediately for best results. 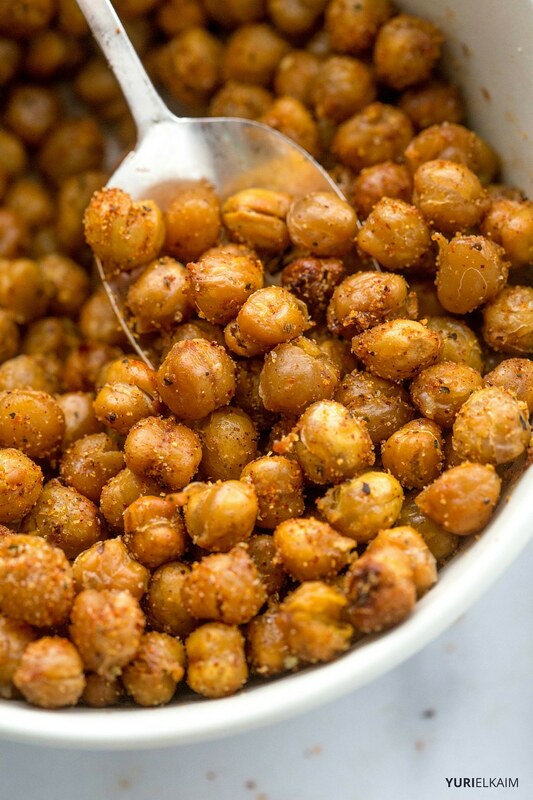 Love to make your own energy-giving snacks like this Spicy Oven-Roasted Chickpea Recipe? You might also like my free “All-Day Energy Diet” Community Cookbook, which is filled with 67 quick and delicious recipes that will keep you feeling fit, strong, and satisfied! It’s available – for FREE – by clicking the banner below.